There’s some good news today for customers in the US who have been waiting for the 32GB variant of the Samsung Galaxy S4 Android smartphone. Up until now this device has only been available in the 16GB version stateside but now we can tell you that AT&T is to begin selling the 32GB version on May 10. This news should please many, particularly after the recent controversy concerning the 16GB model, as plenty of people will be looking for the Galaxy S4 with more internal storage. AT&T is the only US carrier to confirm it will be carrying the 32GB Galaxy S4 although the 16GB S4 is either available or up for pre-order at AT&T and other major US carriers right now. 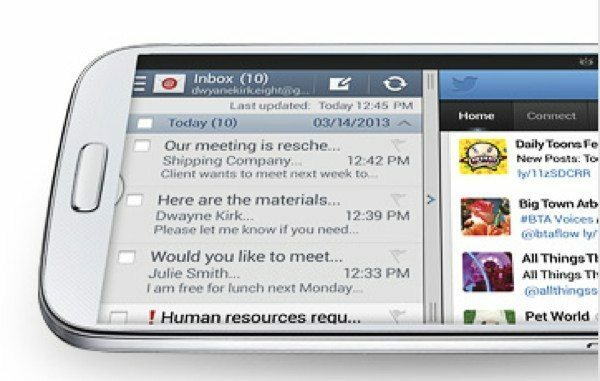 AT&T has taken to Twitter to announce the upcoming release date of May 10 for the Samsung Galaxy S4 32GB with a price tag of $249.99 on the usual two-year contract. That seems pretty reasonable considering the 16GB model is $199.99 on contract and well worth the extra $50 for the additional storage. Other specs of the Galaxy S4 on AT&T include a 1.9GHz Qualcomm quad-core processor, 5-inch Super AMOLED full HD display with 441 ppi, 2GB of RAM, a 13-megapixel rear camera and 2-megapixel front-facing camera. There’s also a 2600 mAh battery and it runs on Android 4.2 Jelly Bean. Luckily May 10 is now only three days away and so if you’re in the US and have been waiting for the Samsung Galaxy S4 32GB variant you haven’t got too much longer to wait. Have you decided to purchase the 32GB model from AT&T? Let us know with your comments. I love the build of the HTC one except the first one I got had 9 or so dead pixels, and the second one I got had the “gap” issue on the speakers. I returned both and cancelled my upgrade to consider the S4. Im not about to get a phone that has a gap in it that will collect lint and dust and then I will not be able to open it to clean it. Although I like the zero gap, closed concept, and not a big advocate of having a removable back so I can change the battery and change out the sd card. Too bad about the gap :(. HTC please fix it and I will buy the 64GB variant. I cant see myself getting the S4 because it looks so cheap. But who knows, I am undecided at this poing.